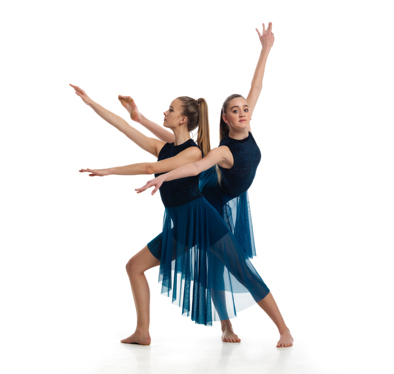 At North Shore Academy of Dancing, we offer a wide range of dance genres and many different classes throughout the week. Our dancers have the opportunity to choose the styles of dance that suit them best. From ages 3 to adult and from beginner to advanced level, students can choose a wide range of classes from within seven programs: Preschool Program (classes for ages 3 - 5 years), General Program (all non-competitive dance classes), Performance Program (various genres of dance that compete in local dance competitions), Solo, Duo & Trio Program (for individuals to gain more performance and competition experience), Examination Program (RAD Ballet and ISTD Modern with examination opportunities in the Spring), Apprentice Program (KTL Hip Hop and DNA Industry for Grades 10+) and our Half-Day Program (for high school aged dancers beginning at 1:45pm Monday - Friday). Develops poise, flexibility & strength, while being a critical foundation for all other dance forms. General, & Performance Class Programs, along with our "Boys Only" Hip Hop, & Jazz Technique classes. Exciting, & lively techniques, based on the style of dance typically found in Broadway musicals. A free & expressive style of dance, that is ever evolving, drawing on the technique of ballet. Dance that is an urban inspired art form, set to popular, modern hip hop music. Fast paced, energetic, & fun style of dance, that draws on the variations of modern dance, & ballet. Modern dance with both the elegance of ballet, & the rhythms of jazz. A syllabus developed in London, England, that reflects the most current trends in modern dance. Inspire your preschooler with a comprehensive program that includes ballet, creative dance, tap, & hip hop.